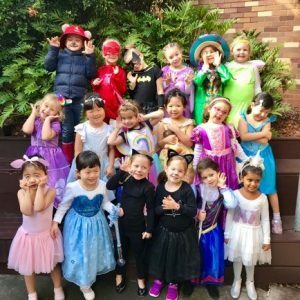 St Hilda’s School Pre-Preparatory is dedicated and committed to supporting the rights of children and supporting their safety. 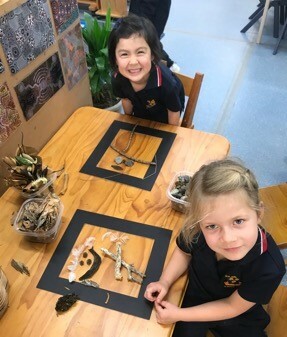 The Pre-Preparatory Child Risk Management Strategy which includes having relevant policies, procedures and training in place to effectively address the safety and wellbeing of children in our care, has recently been endorsed by the Anglican Schools Commission. This has been uploaded on the School Website on the Pre-Preparatory Safeguarding Our Children page. Please feel free to forward any feedback or questions you may have about this Strategy to me. If you have any concerns relating to child protection, please speak with one of these educators. On 2 July 2018, there will be a new Child Care package that will help parents with children aged 0 -13 with child care subsidy. It will replace the current Child Care Benefit (CCB) and Child Care Rebate (CCR). All families currently in receipt of either CCB or CCR will receive a Centrelink letter about transitioning to the Child Care Subsidy. Parents should follow the instructions in the letter and go online to complete the Child Care Subsidy assessment or claim for Child Care Subsidy. 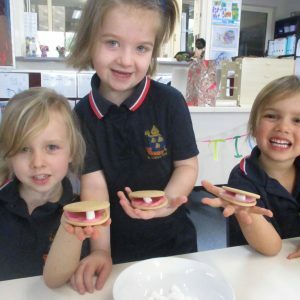 Further detailed information regarding the Child Care Subsidy can be found on the following link or at Centrelink. Families currently in receipt of Child Care Benefit and/ or Child Care Rebate for approved care should have received a notification from Centrelink asking them to go online and complete a Child Care Subsidy assessment or apply for Child Care Subsidy. 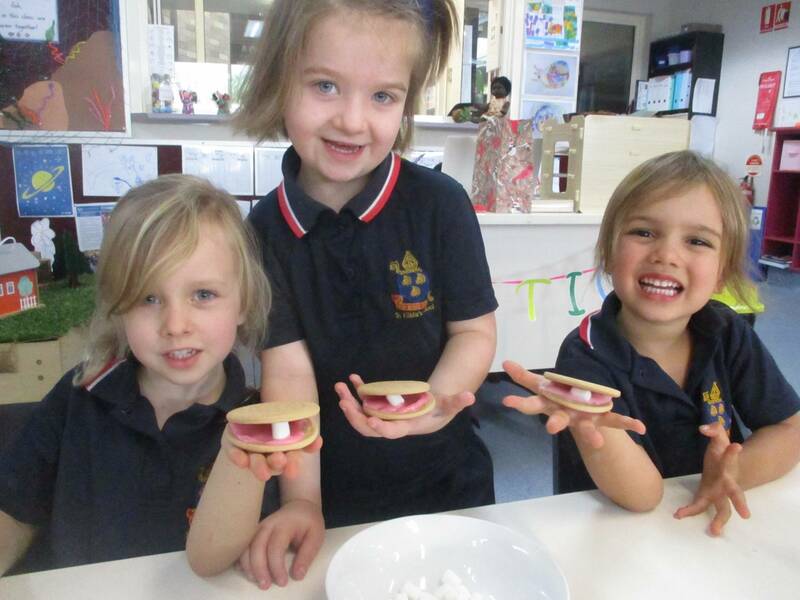 Families need to complete their Child Care Subsidy assessment now. 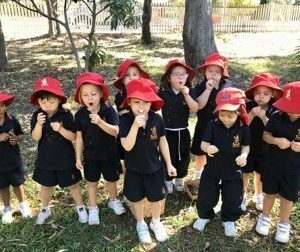 Families will not receive child care fee assistance from 2 July 2018, if their assessment is not completed. 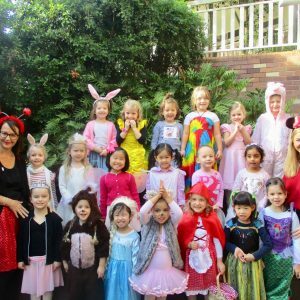 I would like wish all our families a relaxing and fun holiday break and we look forward to seeing you all again in Term 3. PP1 had a wonderful morning sharing a special event with our mothers and grandparents. 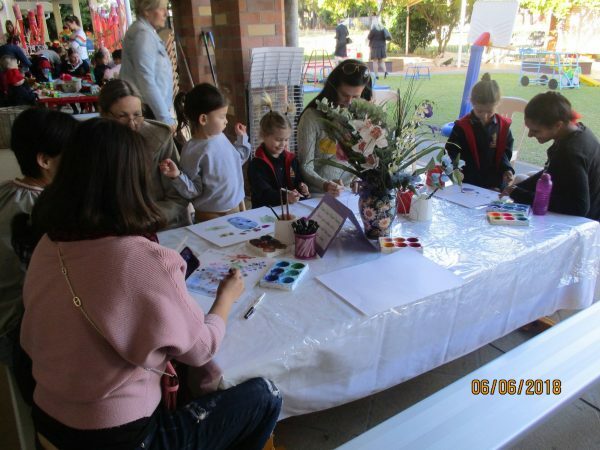 We created colourful tissue flowers and used our artistic talent drawing and then painting a Still Life masterpiece. 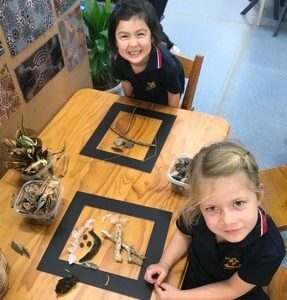 Sea life has continued to stir the interest in PP1 as we explored the life cycle of the turtle, following up with beautiful art and craft. 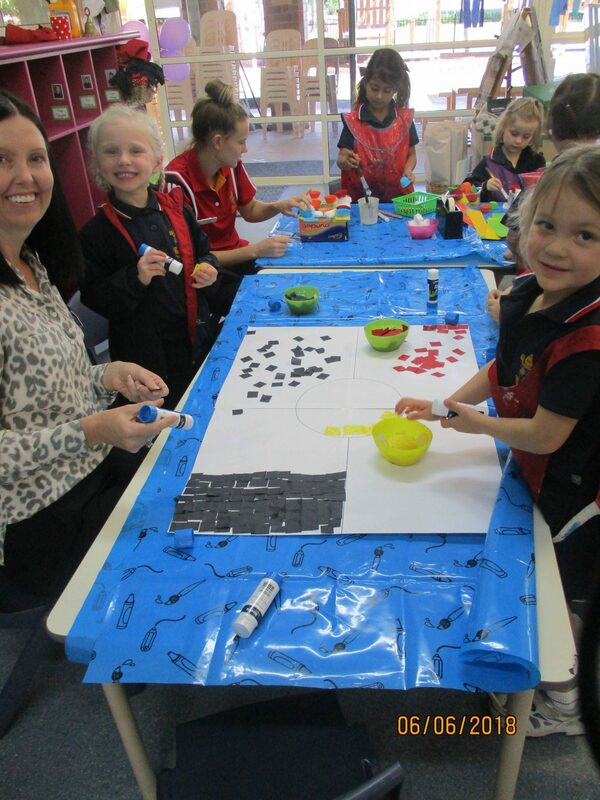 The introduction of ‘dot painting’ was very popular, experimenting with different textures and mediums. 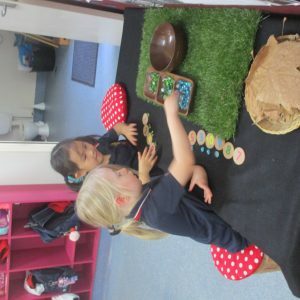 This extended into an awareness of and research into the Aboriginal and Torres Strait Islander culture. 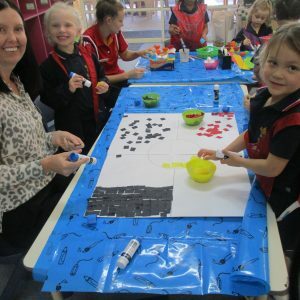 We were lucky to share a display from Mrs Cleverly showing the cultures, acknowledgments and flags, and having open discussions that led into creating a group collage of the Aboriginal flag. 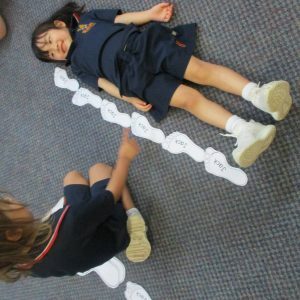 Did you see a ‘gaggle of geese’ leaving the classroom on Wednesday or a ‘group of girls giggling wearing groovy glasses’ on Friday?’ In our Big Book, ‘Miss Gobbledegook’ taught us some valuable skills in counting, patterning and reading. 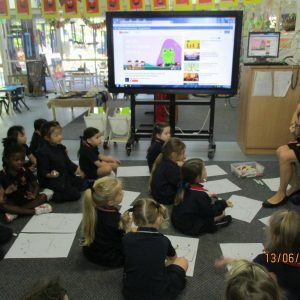 Week 8 was the week for exploring the world of Gg with Mrs Lewis and her guitar! We have some very expressive singers, dancers and artists in PP1. Did you know that blue and yellow paint turns green? 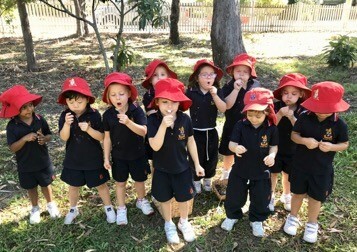 Our little green frogs said “galumph” as they turned a wonderful shade of green. The googly eyes topped them off. 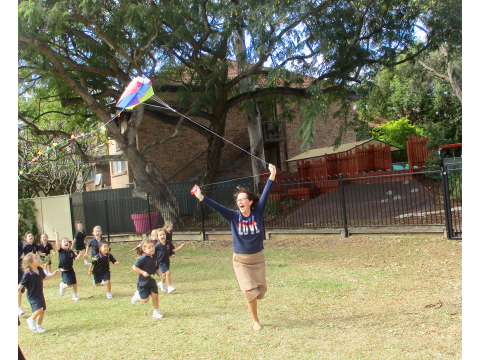 Group games are always a fun way to learn co-operation, language and taking turns. 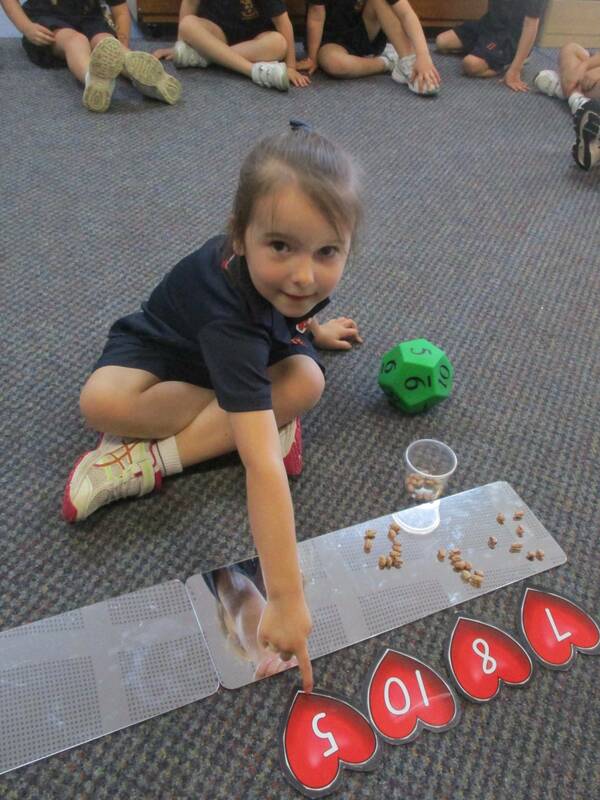 Dotty Dinosaurs was a new game we played. Finally, our Baby Goz (Big Book) found his mummy and we all ended the week with grinning smiles on our faces. Thank you for a great week of sharing many learning experiences with your girls. 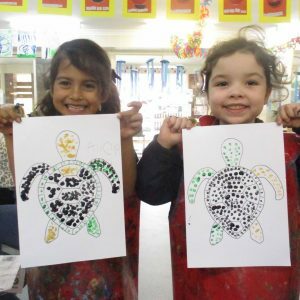 We engaged in various turtle crafts and group experiences on World Turtle Day. 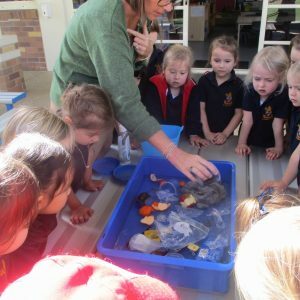 Mrs Nolan brought in her pet turtle Bubbles, which was wonderful! 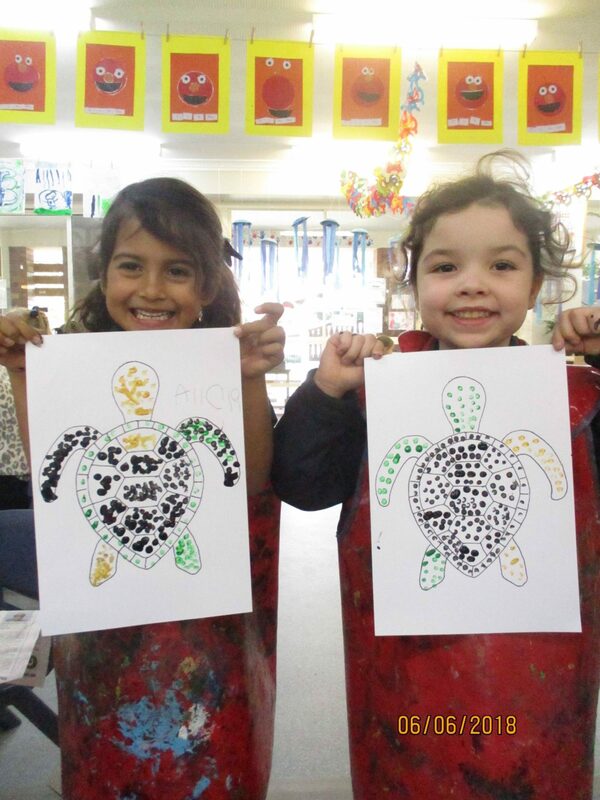 In addition, we learnt about 5 things we can do to protect and save our beautiful sea turtles. Miss Yella taught the girls about the Indigenous Rangers and what they are doing to monitor and protect sea turtles. She explained that the rangers camp on the beaches and watch day and night to ensure the turtles are protected. 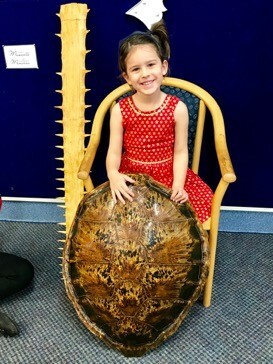 Miss Yella said that this experience not only allows them to protect, monitor and track the turtles, but it also provides opportunities for the youth to connect with the land. 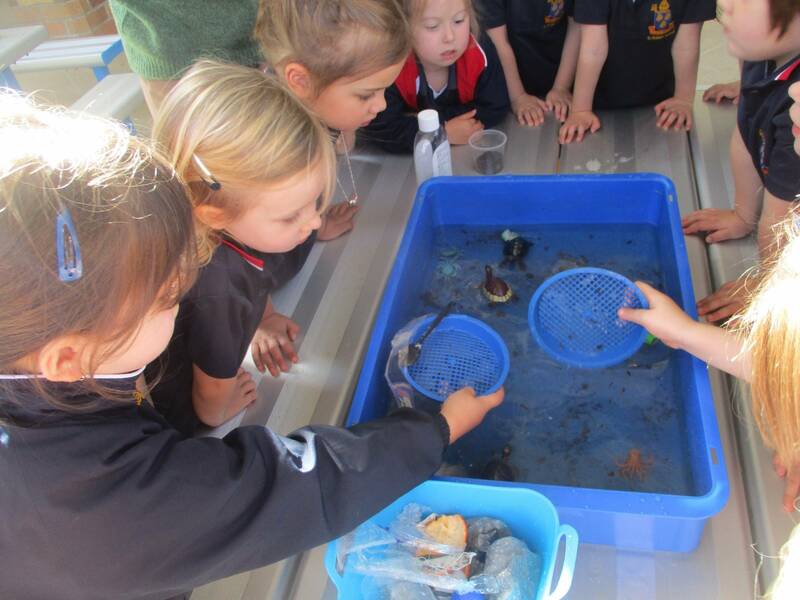 The girls’ interest in the ocean and its inhabitants has grown, so we have been continually building on this through various rich, meaningful and engaging experiences and learning environments. 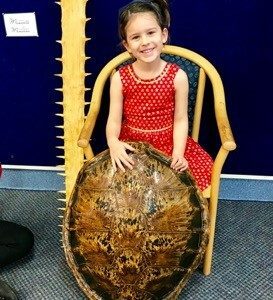 We have been amazed by the girls’ knowledge during their ocean related presentations to the class and would like to thank the families for supporting and enriching the program. value of literacy and reading. Hickory Dickory Dash was the chosen book for 2018 and the girls thoroughly enjoyed listening to it and engaging in related experiences. 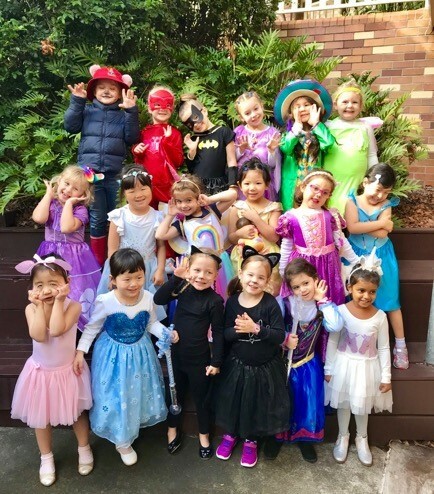 Following on from this event, we brought in our favourite books to share with our friends for show and tell, engaged in Book Week activities and got to dress up as one of our favourite book characters. We look forward to participating in the Premier’s Reading Challenge in August. 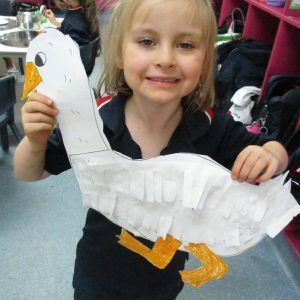 Our current theme for show and share is ‘Something from Nature’. 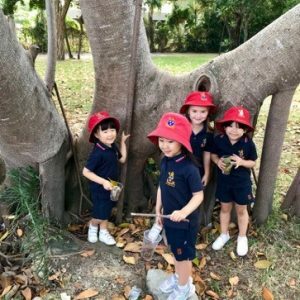 This stemmed from, and was initiated by, some of the girls bringing items in and being fascinated by elements of nature. 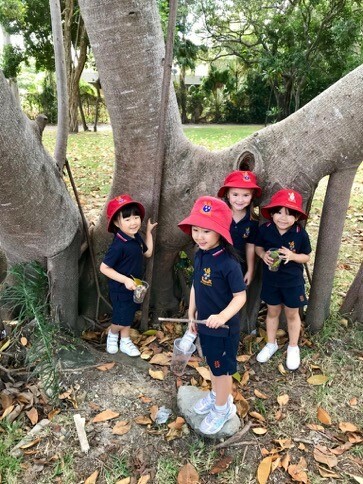 We ventured out into the wider school community to immerse ourselves in nature. The girls were in awe of the huge, beautiful fig trees on the other side of the campus. 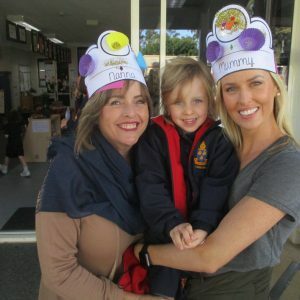 So much learning occurred during what could be perceived as just a walk around school. 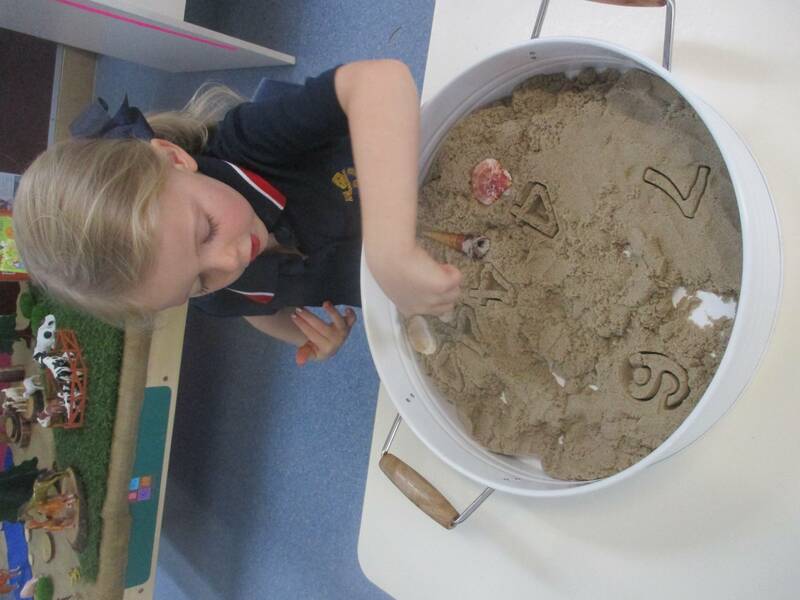 The girls used science skills, their mathematical knowledge of order and number, motor skills and coordination, as they navigated various unknown environments and posed so many interesting questions which, over time, we will investigate. We spotted bats on one of our nature adventures and were captivated! 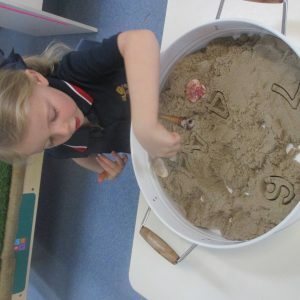 Lots of questions were asked and opinions stated, these were used as the foundation of our discovery. Please have a look in the classroom at the initial research we have done on bats. Thank you for joining us for such a special, memorable morning. The girls thoroughly enjoyed having you in our space and were thrilled to be able to perform some of their favourite songs from the year. We look forward to the Grandfather/Father/Daughter morning next semester. 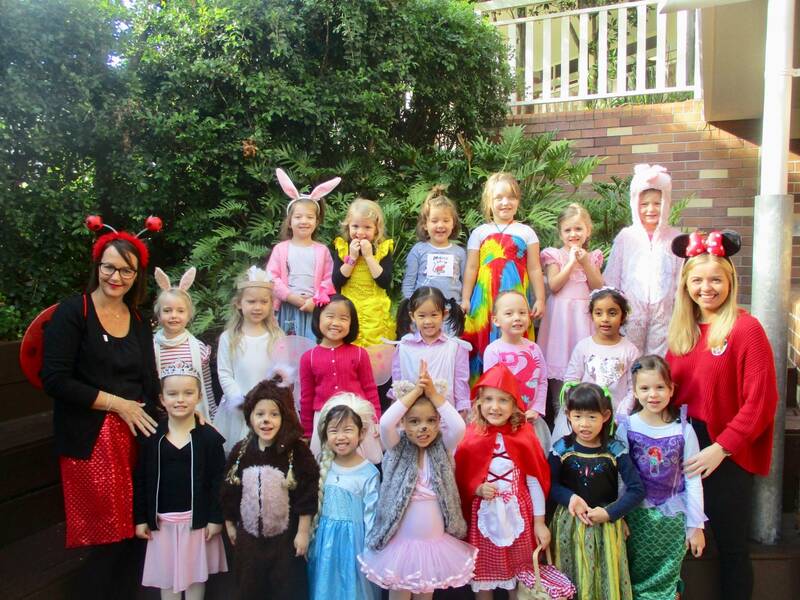 Have a magical holiday and we look very much forward to welcoming you back in a few weeks’ time. What a busy few weeks we have had. 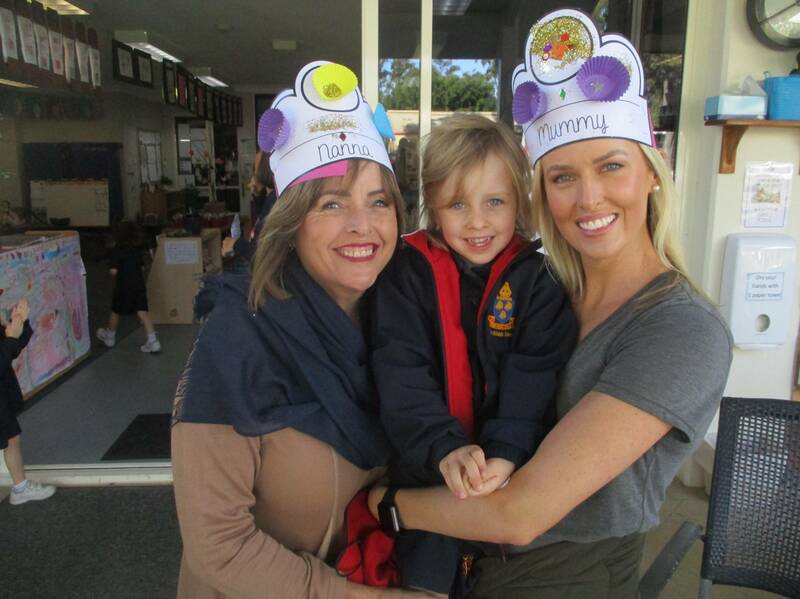 The girls thoroughly enjoyed our Mother/Grandmother morning and our Book Character day. 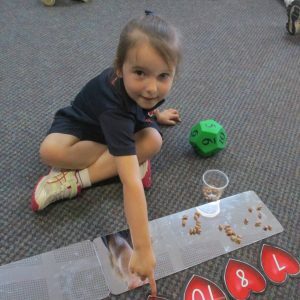 We have been working hard on our mathematical understandings this term and have been learning about quantities and their representations, using the language of order and sequence, and exploring objects and materials for patterns. 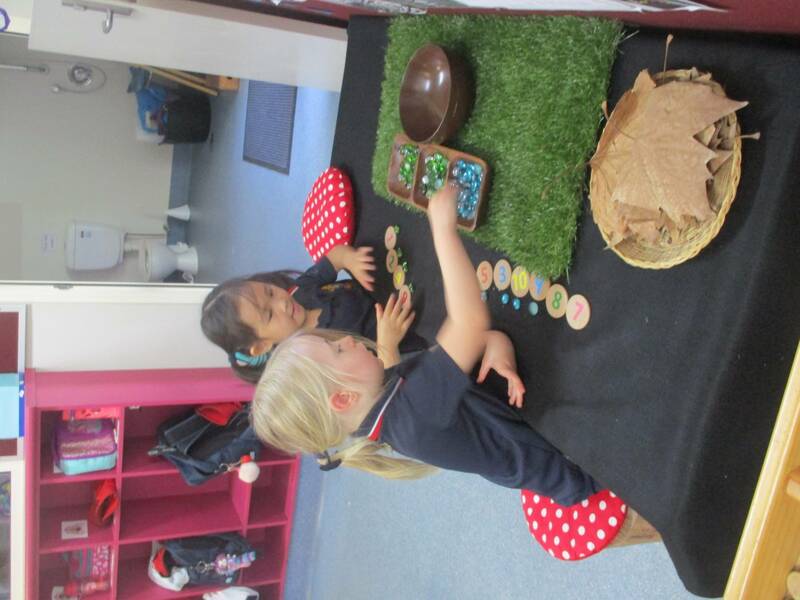 The girls have enjoyed our ‘loose parts’ trolley and using the kinetic sand to show their understandings. At Roll Call, we finally made it to the Giant’s castle at the top of Jack’s beanstalk and the Golden Goose left us some golden eggs! 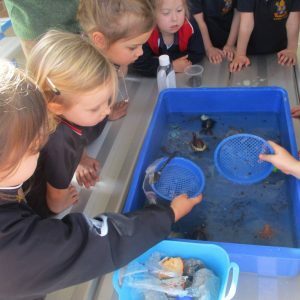 As a continuation from our sea turtle and ocean interest, the girls have also started to hypothesize and offer suggestions on how we can keep our oceans clean, and what it means to reduce, reuse and recycle. They participated in an experiment to help them understand how the ocean would look if we continued to throw our waste into the water. 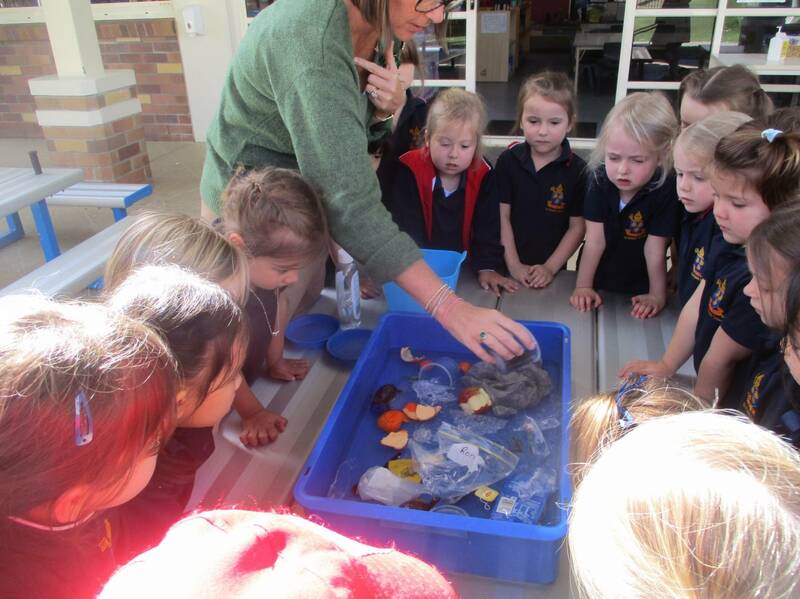 We filled our ‘ocean’ with rubbish and oil and then tried to make it beautiful and clean again, but we couldn’t! 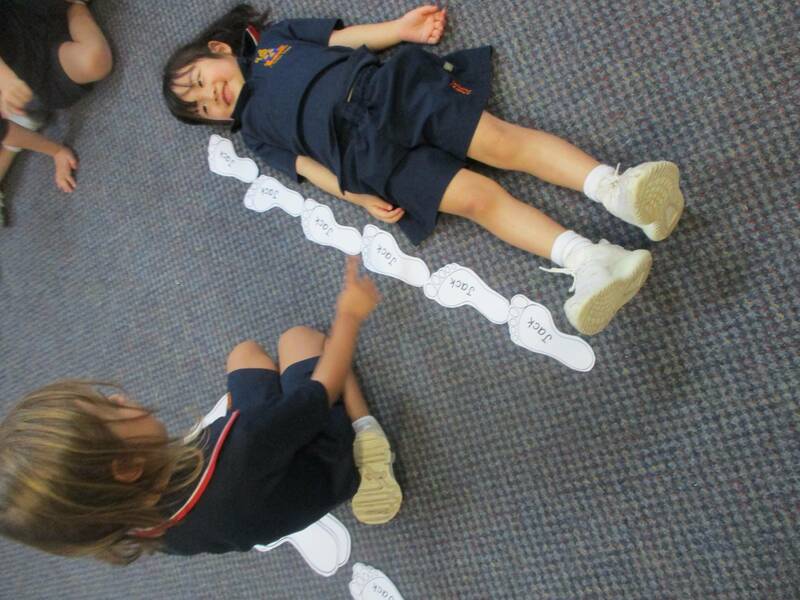 This is an area we will continue to investigate next term. 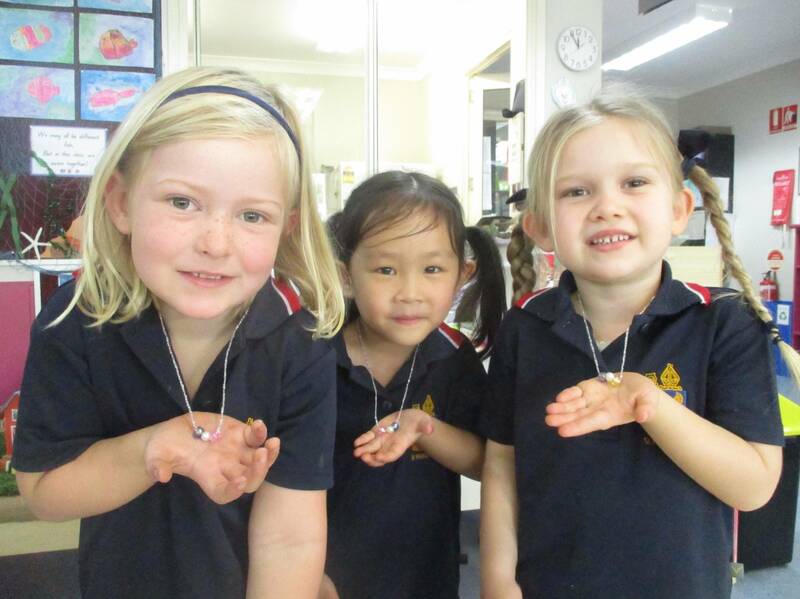 After our ‘What lives in a shell’ investigation, the girls imagined what they would do if they found a ‘wishing pearl’ inside an oyster. 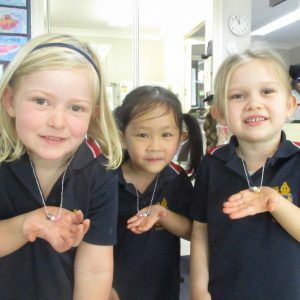 We made wishing pearl necklaces and also some cute oyster and pearl treats to take home. Wishing you and your families a safe and restful holiday.